You will not be able to login and complete your renewal application unless the system can verify the Board office has your continuing education, the correct business license on file and the required citizenship documents. You must fax or email any needed documentation 2 business days prior to logging in. 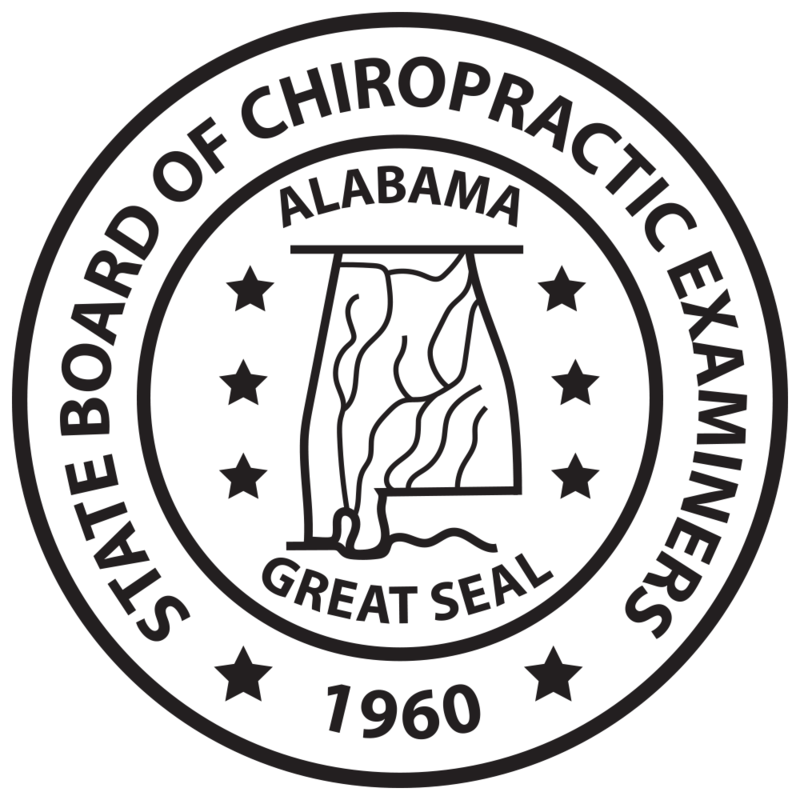 Initial Licensure - Apply for an Alabama chiropractic license online. License Renewal - Renew Alabama chiropractic licenses online. Available August 15th until December 31. License Reinstatement - Reinstate lapsed or inactive chiropractic license in Alabama. Print Renewal Card - If you have completed your license renewal, please click here to print your card. Facility Permitting - Submit a new or renew an existing chiropractic facility online. Print Permit - If you have completed your permit renewal, please click here to print your permit. Fees and/or Fine Payment - Find and submit payments for any or all pending fees and/or fines with the Board. License Verification - Download and print license information for Alabama Doctor of Chiropractic. Verifications may be mailed or printed. The fingerprints will be utilized to conduct a federal and state criminal background check. Being possessed of sound mind and legally competent to complete this request, the applicant authorizes the Alabama Board of Chiropractic Examiners to obtain any and all criminal history information on said applicant from the ALEA and/or FBI. Applicant may challenge or appeal any portion of his/her own Criminal History Record Information (CHRI) that he/she believes to be incomplete or inaccurate by visiting the website of the Alabama Law Enforcement Agency (ALEA) at www.alea.gov or call (334) 353-4340. ** Your application cannot be finally processed until the appeal is decided. Submit ALEA Release Form, 2 Fingerprint Cards, and a Money Order for $37.00 payable to ALEA Records and Identification.